“Your love, oh Lord, reaches to the heavens. Walking by faith is the harder choice, but it’s the only choice to feel alive again. ? This month, I’m being brave by starting some new projects in the coming weeks and months. The exciting news is that these projects are for you. I want to brew fresh words of encouragement for your soul in new ways! I can’t wait to share the news as things unfold. You can be part of this journey with me! How? I created a Soul Mocha Video to tell you all about it, recorded at the beach yesterday. Click below to watch this short video and have a listen, friends! As I dream and do the work for these new projects, I’d love to hear from you! What new idea, change or journey is God prompting you to do, explore or try? How are you feeling about this journey? What are the challenges you face to move forward? If we could have coffee together, share your current hopes and dreams? If you could ask me any questions at all, what would be your questions? What can I share with you? 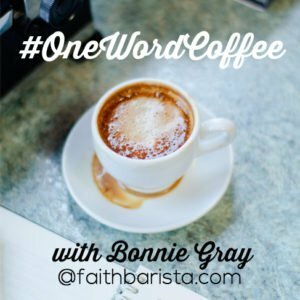 I’m keeping the #OneWordCoffee Blog Link Up open (located at the end of today’s post) for the entire whole month of April. So please link up whenever you write your “new beginning” post, okay? I will be reading your comments and every post in the Link Up to hear about your journey. Thanks for sharing, making this place real with your voice. What one word speaks to you today? Pull up a chair. Click to comment. We’re kindreds on this journey. Today’s 3/30/16 Writing Prompt: any word that speaks to you Optional prompt: What new beginning is God inviting you to take? just to praise, to get caught up in praising God and to let my questions and worries go. God knows the way I need to go, but right I’m feeling the pressure from certain people to get moving now. this creates pressure on me and I become over whelmed and retreat instead of move, so I decided to just sit and praise God and let Him do His work. I wish I had an ocean to go to it looks so beautiful there. Although it looks from where I sit so quiet I believe that Jesus is at work and the doors will begin to open. Honestly deep down I wonder what is taking so long for a door to open. 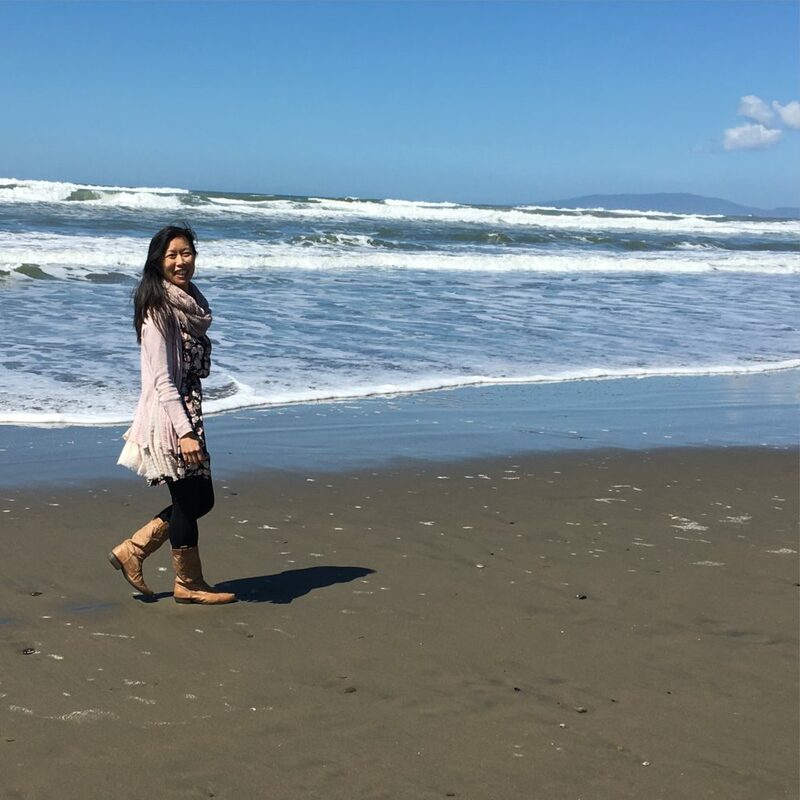 hi kimberly, thanks for sharing what’s currently taking shape and the pressures you’re experiencing. i’d be curious what new ideas or changes may be part of this journey for you. dear jesus, reassure kimberly. may you guide friends who can support her on this journey, as she explores, ask questions and rests during this time. Good morning once again my sweet sister Bonnie. The one word that sticks out to me in this particular Psalm is love. Now grant it there are many definitions and expressions of love but there’s only one true expression of love and that is the kind of love our Father God and our Elder Brother Jesus can bestow on us. It’s unconditional, it never fails. It’s the kind of love that Jesus bore our sins and after He was all kinda beat up took Him to the cruel cross at Calvery for you and for me. He was buried and on the 3rd day rose again and is seated at the right hand of the Father making intercession for you and for me. Bonnie I know I sound like I’m preaching but I make no apologies. I just ABSOLUTELY love the way my Father God and my Elder Brother Jesus loves me because the feeling’s mutual. I have a feeling Bonnie that you feel the same way too. God bless you. Much love comes your way. Hugs too. good morning, beth! so nice to have #OneWordCoffee together and hear how love is speaking to you today! Working by faith is the harder choice. Those words resonated with me highly today. And to not make decisions based on who might love you more if you do. The challenge I face is the ‘what if?’ What if it is the wrong choice? And am I crazy to do this? It seems so irresponsible! Do I have the skills? Oh, all those nagging questions when doubt comes knocking. My mind overthinking. Your beach looks like a wonderful place to centre in Him. I love to walk and spring weather has come nudging me to get out into his beauty and listen. Thank you for the encouragement and I look forward to your next journey steps that you will be sharing with us. i am SO glad you shared this experience with “what if” with us, lynn! my Christian therapist tells me it’s actually a sign critical voices from our past, our critics, our past ways of coping and staying safe is speaking — fear immediately kicking in to protect us of *past* rejection and failure. But, what may have kept us safe once before isn’t strong enough to hold back God’s living whispers to move us to new. I know it’s hard, but try to get away with some quiet, beautiful space and you will be surprised, whenever we give ourselves space to draw near to beauty, quiet and rest — you’ll hear those whispers or ideas that got you inspired from God. His whispers don’t go away. 😉 We have to keep returning to hear those whispers and move out to live those whispers – like when Jesus told the disciples to drop their nets and follow him. We won’t know but we do know Jesus is with us! Can’t wait to share more as this journey unfolds together. I don’t know the result either – it could end up to be totally different (usually does actually) from what I imagine, but it’s the journey God’s after with him. we can live alive and be real with Jesus. If you feel comfortable, share what’s the journey you feel he’s inviting you to step into. would love to pray with you! I’m tucking this comment in a very special place. Thank you! This is my very first post on your blog and definitely not my last. I have over the last month or so enjoyed very much reading your articles and whenever I receive one of the e mails, I really get excited and encouraged. I want to thank you so much for allowing God to use you to be a blessing and a source of encouragement, hope and strength to many people around the world. Like most of us, I too am a pilgrim on the face of this Earth and one who longs to feel a closer walk and deeper fellowship with God. I have been retracing my steps and wanting to start again, to believe in what God put in me, to love and be loved again and all other things. To dream and not let dreams intimidate me but inspire me to do great and mighty things for the LORD. I too am believing in a new beginning and one filled with God’s presence, power and guidance. May we all be strengthened and live and lead lives worthy of His calling, to the glory and honour of His name. hi nyarie! i’m SO happy you stepped into the virtual soul cafe and pulled a chair! so WONDERFUL to meet you! you say you’re excited to get my email – I was excited to get yours today ! i hope to learn more about your currently journey and what God’s calling you to dream with him, as you feel led to share. can’t wait to hear more. thnx for sharing #OneWordCoffeee together today. New beginning is learning finally what has been wrong with my husband after 8 years. Now we have to walk out the journey of cancer. Just take the next step as it comes. A wise friend told me this in an email 😉 (you). Only time will tell if treating this will tell if he will still have dizziness and pass out still. Through this I see and feel God’s presence in so many ways. “Faithful ” stands out. It has been years of prayers and tears, yet he has been faithful. He will continue to be faithful. hi katie! i feel a sense of peace in your words, even though this is such a tortuous journey that is daily and hourly. i can’t even imagine, but good thing Jesus knows every excruciating detail and is going to be faithful to you and your husband NO MATTER WHAT. 😉 xo Jesus, keep helping Katie and her husband. you know it all. amen. What a blessing to listen to your beautiful words this morning, with the waves lapping in the background. Such encouragement. I feel overwhelmed right now: so many opportunities, not enough energy or time for all of them. I’m praying for wisdom to choose what God wants me doing and to lay down that which He doesn’t want me doing. My hopes and dreams feel so quashed lately: loved ones are far from God and someone so very dear to me is facing incredible loss unless God intervenes. It just seems like one thing after another is being taken, stolen, killed. But then your question led me to Zechariah 9: 12 ESV Return to your stronghold, O prisoners of hope; today I declare that I will restore double to you. Do I dare to cling to this scarlet cord of redemption? Do I dare to believe His faithfulness does indeed reach to the skies? That the lives of those I love are going to be redeemed, that life will be restored where all hope has been declared as crushed by doctors. Oh how I struggle here, especially because loss has been such a big part of my life. Do I dare believe that loss is not the final story? And do I dare to step into dreams that can only bloom if chains are broken. I KNOW His promises are true, but my heart struggles to cling as emotions crash over me like waves. Am going to take a quiet moment to write tomorrow morning, praying for God to guide my heart. how about you were to think of JUST ONE. your personal fave. the one tha tmakes you super excited or curious. a lot of times, we put those to the last and other easier or more loud/urgent things take our energy. just an idea in case it encourages you. just don’t give up resting and being loved. enjoyed #OneWordCoffee’ing together, Anna! Well first I have to say seeing you at the ocean makes me envious! So beautiful! You always inspire and remind me of the importance of stillness and validating my little girl within! I’m a psychotherapist and as I consider ways to become known I think of your story and the telling of it and will I tell my story of the desire to be special my entire life after being raised in a large family! Our little girls alive and connecting help change the world! hi barbara, i’m so happy to meet you! as you pour yourself to invite the little girls in those who come under your care, may the little girl in you find her voice and tell her story — living out of who you are as you guide others to do the same. from this one little girl to yours. Choose life. 1)I am feeling an urge to step out and start something fresh. 2) People are trying to convince me that I have become anorexic, I have lost over 100 pounds in 18 months. I am now 102, which when i saw the scale yesterday, it did alarm me. I am not restricting food, in fact I eat more than I used to. Every medical test says I’m fine, but I am doing nothing to lose weight. I spontaneously began losing weight after a hysterectomy and have not been able to gain weight since. Some say becoming anorexic is saying I want to die. I choose life everyday. There was. years ago, that I could not say that. I have a teenage son whose behavior has pushed us both to the edge many times. That behavior is finally improving and our relationship is too. I I want to get off disability and work a medical coding career from home. I have more to look forward to than ever. I can’t convince anyone that I am NOT trying to lose weight. So my ONE WORD (well 2) is CHOOSE LIFE. I will pray, Bonnie. Pray you find the answer to the reason for the sudden weight loss. Praying also that people will love you during this time and treat you kindly. May God’s perfect peace surround you, may His love sustain you, and His presence guard your heart. hi bonnie, may God continue to reassure you that you are beloved as is — and his whisper will push away all other critical voices who do not know the YOU inside. The Good Shepherd knows your voice and you know his. God, keep speaking to Bonnie & steady her steps right next to yours in all she is on the journey to experience with you in her body and her soul. Love is the one thing that jumps out at me from the scripture. I see it’s joyful presence in your face as you walk along the water’s edge. I too love spring. It is a celebration every year. My heart is so full these days. My first grandchild turned one this month. She is so beautiful, so full of grace. I feel so blessed with my lovely family. My daughter got married last May, so we now have another son. He is so delightful. Our son and his wife and child also have brought us so much joy. Retirement brings me more time for service and growth. So my life is full of love. Fear lurks around but God’s perfect peace guards my heart. Thank you for your joyfulness. It is such a blessing! thank you for being so present with me, as I share my heart. love #OneWordCoffee together! My grief journey is but nine months old and I am afraid. I have lost a part of me, part of who I was that I will never get back. There will be a new me and it is frightening not to know who I will become. But I hear God whispering to me that it will be okay and all in good time, in His time. I feel He is calling me to be of service to others. I don’t know in what way that is going to happen yet but I am listening and He will let me know when the time is right. He is walking this journey with me. He loves me. Of that I have no doubt. Thank you Angela for your kind words and prayers. I will also keep you in my prayers as you embark on your new role in serving our Lord. “Newness” is always scary but I am sure you will do amazing things. hi susan, i wanted to ask you how this week went… and monday with your resigning? may you feel God’s goodness very near to you, holding you today. so thankful to share #onewordcoffee together. “faithfulness” As I prepare for a new role in ministry in a year (I have one more year of school left) I’m already beginning to find new passions and have my heart awaken to new things, particularly around spiritual formation and discipleship from cradle to grave. I don’t know what it means yet or will look like but I know that God is faithful and He will put it all together. In the immediate, I’m stepping out writing and preaching my first sermon. Here too I’m relying on God’s faithfulness that the words I write are His words. I get my Pastor’s feedback this afternoon. Kind of nervous. hi angela, i’m thinking of you and wondering how the meeting with your pastor went? i hope God continues to assure just the one next step in ministry for you. it’s unknown beyond that – but just the one next step. and maybe just for today. thnx for sharing #onewordcoffee together. Hi Bonnie, Thanks for asking. The meeting with my Pastor went very well. He said I could preach it the way it was but he did have some great advice how to make the sermon stronger. It was a very encouraging conversation. I’m in a odd season. I’ve been a Christian for years but am only now realizing that after a childhood filled with abuse and neglect, I still carry a lot of shame in my heart. I don’t feel worthy of Gods love. I know in my head who God is, what the bible say, but I know I don’t believe it in my heart, not for me. I desperately want to change and feel different, knowing God and his grace for me would change everything. I feel like God is not there, even now in this time. Absent, just like my father, who was too busy “serving God” in ministry. I don’t trust God, or that any of his plans for me would be good, cause life has just been hard. I want to be his beloved, but I don’t know how. I feel like such a failure, and confused, about living this Christian life. To be honest I wish I could already be in heaven. To get relief from the hurts and pain of this world. Like I’m even searching for God wrong, I must be, since it’s not working. I feel guilty for doubting God. I’m scared of him, cause I know he must be disappointed in me. I’m so thankful for your blog and I look forward to it every Wednesday. hi lizzy, i felt the way you did during a very long season of my life — and God began to do the work of uncovering my heart — because I didn’t feel in my heart what I’ve known, taught to be true in my mind — have you had a chance to read my book “Finding Spiritual Whitespace”? I think you would enjoy it as it chronicles my journey to experience God, eventhough I “knew” him… and it was only then as I did some investigation of quesitons I never asked myself that I began to feel beloved. lemme know what you think after reading it. I want to reach for Jesus’s hand today, and trust where He will take me. hi karen, yes – i loved the vulnerable prayer you shared with us during #OneWordCoffee — like a friend walking on this journey with me. thnk you. “gratitude” . . . no matter where I am or what is going on in my life, gratitude always helps me to remain centered and balanced. beautiful word ‘gratitude’ – how it brings you home with Jesus, maureen. thnx for sharing #OneWordCoffee together. I love the invitation to bright, bold, fresh new things. My #OneWordCoffee today was either #Hope or #Trust so I picked one, but maybe I should have dubbed it a #DoubleWordCoffeeDay haha! New and exciting things are transpiring at the Weyerbacher household, and in between there is the daily grind that requires trust and faithfulness in the little things while we await the other things we are hoping for. By the way, I loved your video. I hope you do more of those in the future if God leads you. I love the realness and community and think many of us sisters in Christ would benefit more from these types of things, and podcasts that speak Life into our lives, than much of what the world has to offer nowdays on tv etc. yes, it’s a double shot of faith, right? i’m really glad for your encouragement to do more of the videos. i’ve been a bit shy about doing them.. and wondering if it’s encouraging and something enjoyable to the friends here.. so THANKYOU so much!! i will do more. 😉 i hope all is going well with your unpacking.. new start at the Weyerbachers! Bonnie! I appreciate you and your dedication to speaking what God lays on your heart!! I have received a (somewhat) new commission. I know I am supposed to be writing, and it is flowing so strong right now, it’s almost gushing. ( or rather, I am downloading from Abba!!) I wish I could do nothing but sit with the Father and talk, and take down the dictation He has for me! I have a similar background as you, with of course a few differences, and am a survivor of several layers of abuse, severe PTSD, cancer, and a few other “happenings”. I am wondering if you have any advice during this time? whether it is a “how to” in writing, publishing, or balancing all of it. I have just been listening to Him and doing what He says do, taking one step at a time, and careful to run it by a very trusted friend that I know hears His voice, is obedient to Him, and is very practical as well! I sense the pull and tug of God so intense, that its hard to put down my computer and go to work or be with my kids, or anything! I’m sure that you have been here! Hoping to be able to go away on a writing sabbatical very soon, too. I appreciate you and your journey and commitment so very much!! hi alli, that really encourages me to hear from you. as i write and share and it’s always so touches me to know there is a friend on the other end of the words or the videos or the sharing. you make this place real. so, your new commission. i think i will do a video to share about the writing process — if you can post me some specific questions, that can really help me share the answers – beacuse there is so much I can say about it. but it helps to have some questions so I can pick out what would help. i hope you will go on your writing sabbatical. do it! and i’m looking forward to hearing your questions. Thanks so much for your reply!! Gosh, I have so many questions, I hope I can articulate just a couple! During the writing process.. how do you actually DO it? so far I am just making time in my morning before work (it’s become a big part of my quiet time) and I listen for the Lord, and then start typing. I have been working on an outline, but I keep second guessing and getting emotional. Should I stop and go back to organize a better outline? I am wondering if that would give me more insight to how to organize the book? I am able to go back and edit with a more critical eye and forward to a trusted friend for a second look. do you have a scheduled amount of time to work a day? Any suggestions on organizing my day to make this happen? I have been very “organic” up until now, but realize I need to use a bit more strategy to keep my world ticking along with work and teenagers. also, should I even consider looking at publishers or editors until I’m closer to being finished? I am really just focused on balancing all of this. on top of it, I’m not 100% clear on the entire subject. I know the end result is to glorify God and help women love Him more. I am hoping that they will see what God has brought me through and it will give them hope and desire to pull Him closer; how to rely on Him in a practical, everyday kind of way. Have I made any sense or asked any clear questions? ? I really appreciate you! Hi Bonnie. Sometimes I feel like God is nudging me towards something, but I feel so clueless as to what it is. It weighs me down and I overthink it. I have to tell myself to just rest in Him. He’ll show me when it’s time. I love this – “Be the little girl who only holds one thing in her hand: His hand.” Yes, just to rest my hand in His as His beloved child. He will lead us in the direction He believes is best, right? I loved the video with the ocean in the background. That must be so soothing. I can easily see why you travelled 40 minutes for it. It’s much too far away for me, but I imagine myself walking barefoot and sinking my feet into the sand. Closing my eyes and listening. Feeling the wind as God’s gentle breath on my cheek. I am here for you, My Child, always. Thank you for this encouragement today, Bonnie. I so needed it today as insecurities are attacking me big time today. Blessings and hugs to you! 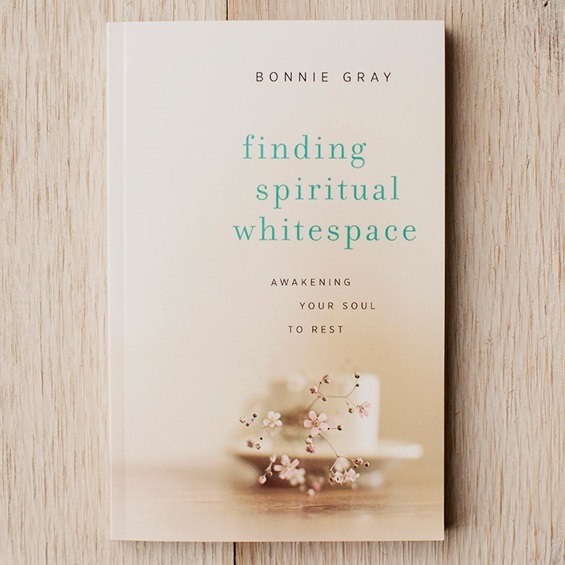 i wonder if doing any of the journaling as you read through chapters of FInding Spiritual Whitespace would hep. Especially the chapter of the ‘The Pink Outfit’ – what does th elittle girl in you want to explore? give yourself permission to just try anything that maybe you’ve never tried or wanted to try. Thank you Bonnie for the thought-provoking and heart-felt post. What a journey you’ve been on and I’ll continue to follow your blog for more inspiration and aspiration. I’m so happy to find our paths cross! have you gotten a chance to read my book “Finding Spiritual whitespae”? I think you’d enjoy it – as I share my journey that brought me here. btw, congrats on starting the blog. that is HUGE because you’re stepping out to be YOU and share your voice. keep writing! wonderful to share #OneWordCoffee together! Your questions are so interesting because I kind of answered them vaguely in my last blog post. I’m not ready to really say what God’s moving in me because putting my dream out there for the world to read is not something I’m quite ready for. Partly because if it doesn’t happen, perhaps God wasn’t in it. Or perhaps He could have been but we weren’t quite daring to go after it.All I can do is pray, wait, take small steps towards it and see if He blesses it or whether it’s just a manmade dream that isn’t meant to be right now. Generally, though, I’m learning whether in big dreams or small, to just take one step. It doesn’t matter what the outcome is right away. It’s just a matter of putting one foot in front of the other and stepping towards where you feel God is calling you. He will direct your path when we trust Him, although I’m learning it certainly never looks how I think it will! hi allison, yes, sometimes, you have to guard your dream as it quietly is nurtured. i hope you can share with your closest innercircle — and i pray God will continue to fan those flames that have begun in your heart. thanks so much for sharing this tender moment in your journey – as God uses this time to just touch your heart – wherever it leads. He’s changing you in all this.. loving you. wonderful to share #OneWordCoffee together! Since my hubby died in 2009, the word Heaven has been a special one for me. I find myself gazing into the Heavens on a daily basis. It isn’t something I do consciously, I just ‘do it’. The word has greater meaning and holds clarity as I breathe in its mystery. The other word connected to heavens in this verse is sky. Both. Is this a double meaning? Something to think about for sure, both connected into eternity and infinity, this blows my mind and takes me to peace in the possiblities of deepening my faith in whatever I face today as a widow. I have just recently discovered your site and am so enjoying it. Thank you for the truth you share and the creative way in which you share it. I love the simplicity in following our Jesus. Putting away the distractions and hindrances is sometimes the difficult part. hi janet! I’m so happy that you found this place and are enjoying it. may God continue to touch your heart as you pour out to the younger women. thanks for sharin gyour ministry with us. wonderful to share #OneWordCoffee together! hi kristy — may you stand!! we are cheering you… do it even as you doubt, because God will help us. wonderful to share #OneWordCoffee together!